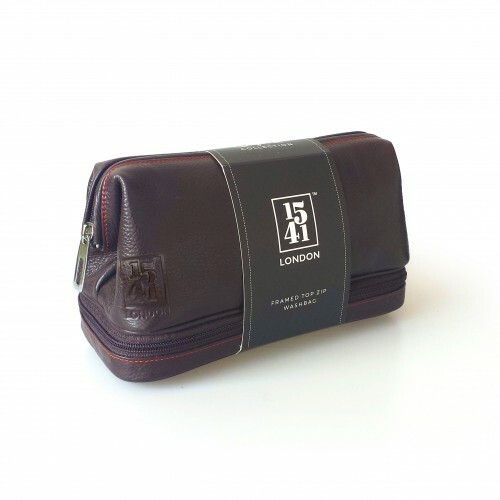 Style up with our 1541 hand-crafted leather travel washbag. 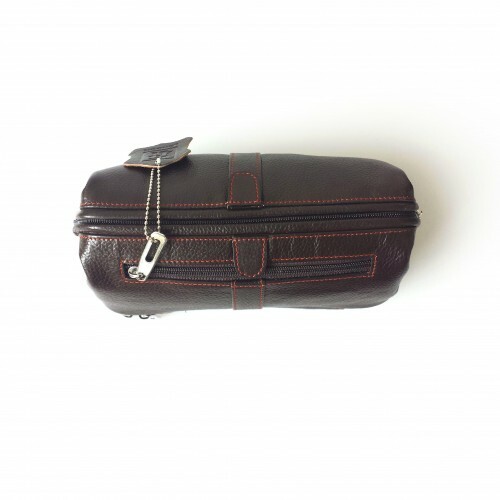 The zipped frame top opens up to reveal a spacious compartment that can fit numerous grooming and bathroom essentials. 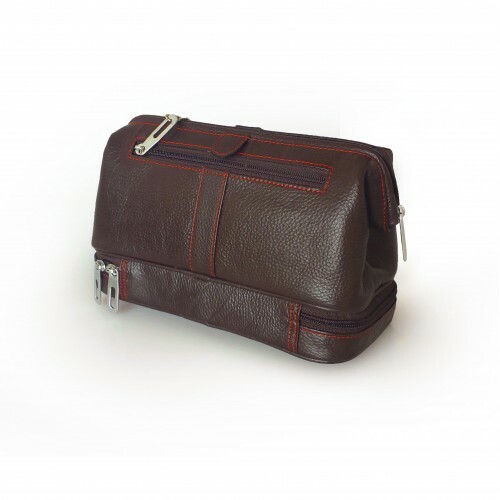 Two more compartments at the bottom and back of the bag are perfect for additional storage. 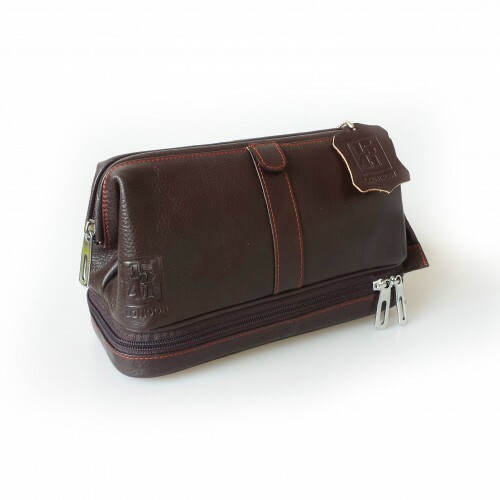 The bag is lined in resin to wipe away water droplets and spills. 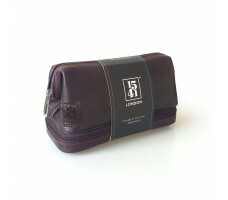 Perfect to use while on holidays, weekends away or business trips. Dimensions: 24.5cm (Length) x 15.5cm (Height).